We look at the various names of the streets in the region, trying to find out who the people were and how they shaped our history. 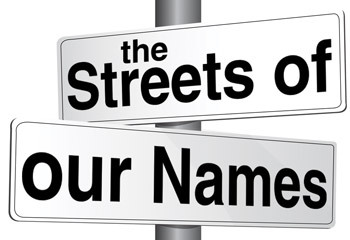 The Streets of our Names is our new series looking at the street names in the Makhado municipal area. We try to find out who the people were whose names appear on the corners of the streets and also try and establish why they are worth remembering. During the course of the next few months, we’ll try to touch on both the “old and the new” and, in some cases, the people discussed may be controversial. The idea is not to give a lesson in history (although history is the essential ingredient), but rather to highlight the interesting. There is no political or ideological agenda and if you think the person’s name should never have been on a sign board, then that’s an opinion you’re entitled to. We would like to stay as close to home as possible and would love the more personal stories of these early pioneers. RISSIK STREET - For this week’s chapter, we return to one of the older streets in town, namely Rissik Street. Rather unimaginatively it was named after yet another land surveyor, Johann Friedrich Bernard Rissik. KROGH STREET - Sooner or later we had to get to Krogh Street, which is, after all, the “main” street in town. It used to be the route to the north, leading through Louis Trichardt and passing the important shops, the banks and the post office. ORIENT STREET - The street under discussion this week truly has a love-hate character. It is situated in the Eltivillas CBD, leading into the busy taxi and bus terminus. Orient Street is not a long street, but it reminds one of a 150-year history of traders who were victimized and often treated with contempt, but still loved by consumers for the contribution that they had made to a new African economy. PIET RETIEF STREET - In this week's instalment, we look at Voortrekker leader Pieter Retief and how he influenced our region's history, even though he never set foot in the Zoutpansberg. PRETORIUS STREET - President MW Pretorius was no stranger to the people of the Zoutpansberg. He visited the area on at least two occasions and he was very involved in processes to try and diffuse the animosity between the settlers at Schoemansdal and the Vhavenda. We take a closer look at these visits and the battles between, among others, Chief Madzhie and the Boer forces. BURGER STREET - This week’s story starts with a general, moves to a president and then pays a visit to two kings. As usual the focus is on the events in history that made the Soutpansberg such a unique place. VAN WARMELO STREET - The street to be scrutinized this week, is Van Warmelo Street, but as has become the norm in this series, we deviate a bit. A number of readers have pointed out that the articles don’t always focus on the specific person the street was named after. This is true, because it is not a series of biographies – it is a series focussing on the history of the region. BARNARD STREET - In this week’s edition we focus on Barnard Street, but we “cheat” (to a certain degree and hopefully with the blessings of our readers). We could not resist writing about one of the region’s most famous Barnards, namely the legendary hunter/poacher, Bvekenya Barnard. In our defence we did try and find out more about the other Barnards, but very little information is available. Perhaps a reader can enlighten us. STUBBS STREET - In this week’s edition we focus on a “gem” of a street. Delving into the history of Ernest Stubbs was quite an enjoyable adventure. The information used came from a variety of sources and included material provided by the Wits University’s Historical Papers library and the Stubbs family members. The research was partly done by Pétria de Vaal-Senekal. DE VAAL STREET - This week we take a look at one of the “newer” streets in town, albeit that these were already laid out and named round about 1977. De Vaal Street is situated in the more affluent part of Louis Trichardt, more officially known as Ext 7. The streets were named after prominent councillors of the period, such as Piet de Vaal, Boy Schimper and Mannetjie Bergh. JOUBERT STREET - This street was named after the famous Boer general, Piet Joubert. Our story starts with a mystery. Perhaps one should even say a conspiracy theory. Was this Boer leader, who served as president of the Transvaal Republic at one stage, an American by birth? SONGOZWI STREET - Songozwi Street used to be called Trichardt Street and it was one of the first streets to be renamed following the 1994 elections. Songozwi can refer both to the mountain (towards Hanglip as it is nowadays called) or the adjacent Songozwi village (Luatame) on top of the mountain. MUNNIK STREET - George Glaeser Munnik left his mark on the Zoutpansberg in many ways, but probably more so because he bothered to write it down. This former magistrate and senator of the Zuid-Afrikaansche Republiek captured the history of the region (as well as his own) in several books that he wrote. JEPPE STREET - In the first of the series focusing on the street names in the Makhado municipality, we look at Fred Jeppe. This quiet German-born cartographer played a very important role in the history of the region. If you have interesting information about some of these characters, please let us know. Also, should you have photos of specific streets dating back 50 years or more, please send them in. Information or questions can be sent to anton@zoutnet.co.za.